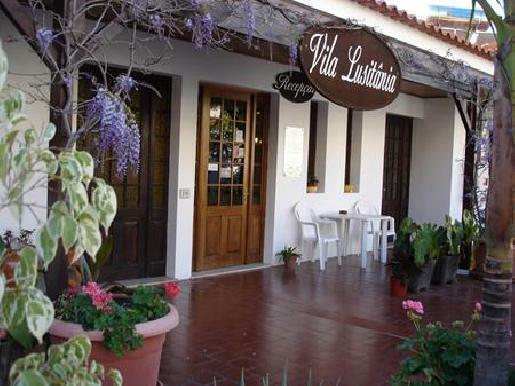 Residencial Vila Lusitania in Funchal distributed across 2 buildings, spread over 3 floors and has 27 rooms. The closest city to the hotel is Funchal (2 km). To make your stay more comfortable a lobby and a reception are available. The staff in this 3 storey hotel speaks English. For guests who wish to be mobile, bicycle rental, motorbike rental and car rental can be arranged. A salt water swimming pool is available. Sunshades and sunbeds are available free of charge at the pool. Distance from the hotel to: disco (1 km), Gardens (750 m), theater (2 km), Walk (100 m), airport FNC (22 km), horse riding (23), Museums (2 km) and Traditional Market (3 km). The hotel is within easy reach of bus stops, cinema, taxi stands, city centre, tourist information, shops, medical services, bars and restaurants and supermarkets. For your entertainment the hotel features a TV lounge.